A committee was appointed in 2014 to review the unified law enforcement between Cassia County and the City of Burley. This is a report of their findings. 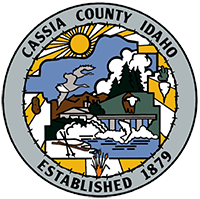 Cassia County Sheriff's fees $40.00 service/return fee. Writ of Execution $40.00 (Sheriff's Department) plus $2.00 filing fee (Cassia County). When filing a Writ you need a .70 cent-stamped, self-addressed envelope to the defendant, and a Sheriff's letter of instruction (included in the packet).